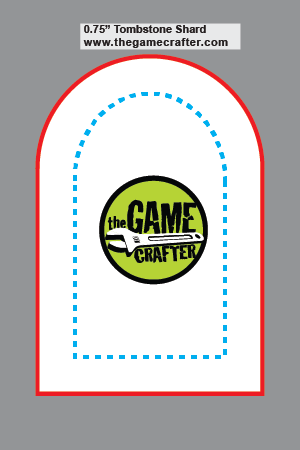 Great as custom printed pawns or doors when used with our card stands. Also work great as bullet counters. Tombstone shards come in groups of 4 on 2.5x3.5 inch slugs. Mini Cardstock slugs are made from the same card stock as our cards. They are printed on both sides. They come on 3.5 by 2.5 inch slugs (18 slugs per sheet) that you must punch out. Cuts are cut by laser, and as a result you can mix and match items on a sheet by having a different item type on each slug.